So I’m done being twelve but that doesn’t mean I’m happy with the bait-and-switch drama behind this project! The confusion and anger on the net was understandable. Zhu Yi Long and Song Yi are now playing the supporting characters in the novel adaptation of The Rhapsody Of A Summer Dream (夏梦狂诗曲 ) written by Jun Zi Yi Ze. 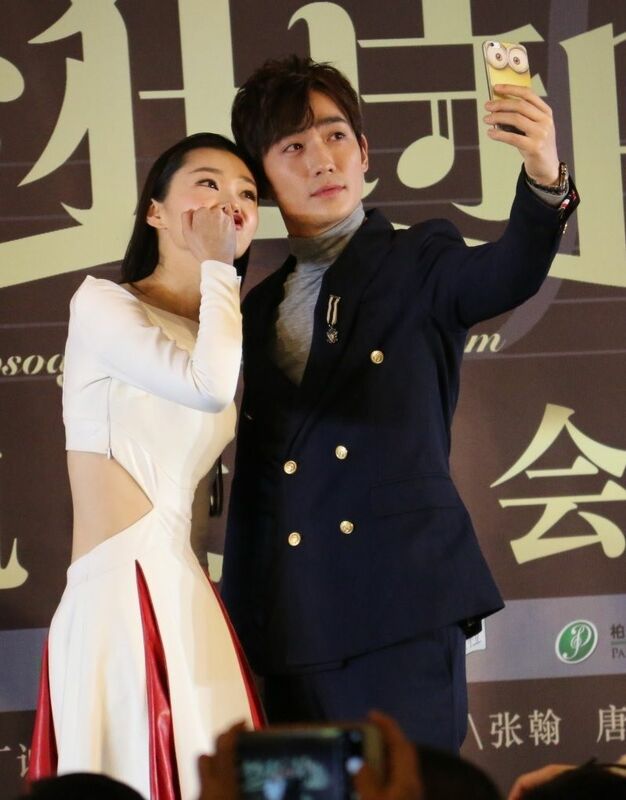 Zhang Han plays producer and male lead. His female lead is none other Korean actress, Go Joon Hee (She Was Pretty). Such a cruel twist of fate. Instead of promoting their own supporting actors to first lead, the production team promotes Korea’s supporting actress to first lead. (nothing against Joon Hee, I like her). *side eye everyone with power real hard* I was and still am raging my fist in the air at this division of labor! Synopsis: (I didn’t continue reading the novel so maybe Polaris would know more since she read more? Lol.) The story follows violinist genius (Go Joon Hee) who lost both of her parents at a young age and lives to seek revenge. For the longest time, music was her life and she started out following the footsteps of her dad. But now, every time she closes her eyes, she remembers the pool of blood forming around his head, and only wants to wear black while performing. After a betrayal that maimed her hand, she disappears and reappears five years later under a new identity, armed with a talented violinist under her teaching. 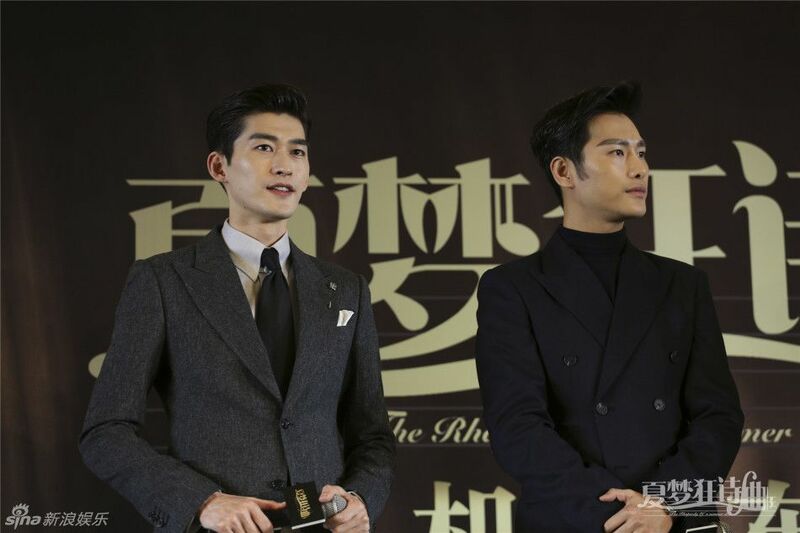 She begins her revenge plan by getting close to an old friend (Zhang Han), second son of a large corporation, who has a talent in numbers and stock market. It looks like his family adopted her when she was younger and some jealousy emerged among the kids. It’s interesting that he chose to become a producer and not a director (isn’t that more common?). Does that mean Mr. Zhang is loaded? Lol. His character has two brothers I think. 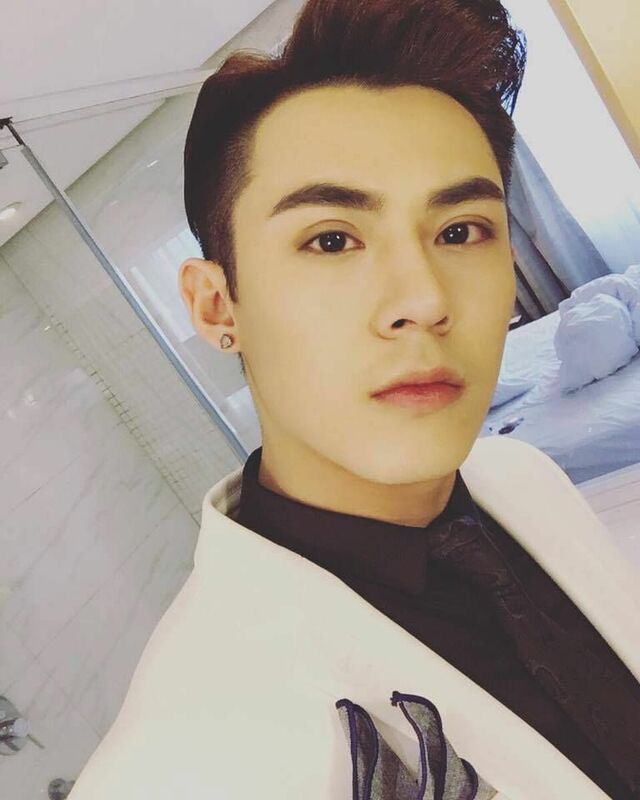 Yi Long will play older bro and I think Andy will play the younger one. Go Joon Hee, Our genuis violinist. Rumors are high that she signed with Zhang for three projects, kicking off her career in Mainland China. My tragic couple. From the fans’ words, Song Yi will be playing the heroine’s rival, the hero’s sister. Don’t quote me yet, I need to watch the press conference or something to find out more. Zhu Zi Xiao! Dude! I miss you love! I just have a soft spot for him ever since China’s Meteor Garden in 2009, which Zhang Han was the lead with Zheng Shuang. Ah.. Time. I’m still waiting for his drama with Li Ying to air…. as messed up as the plot sounds. Surprised to see Andy Chen Yi in here as well. 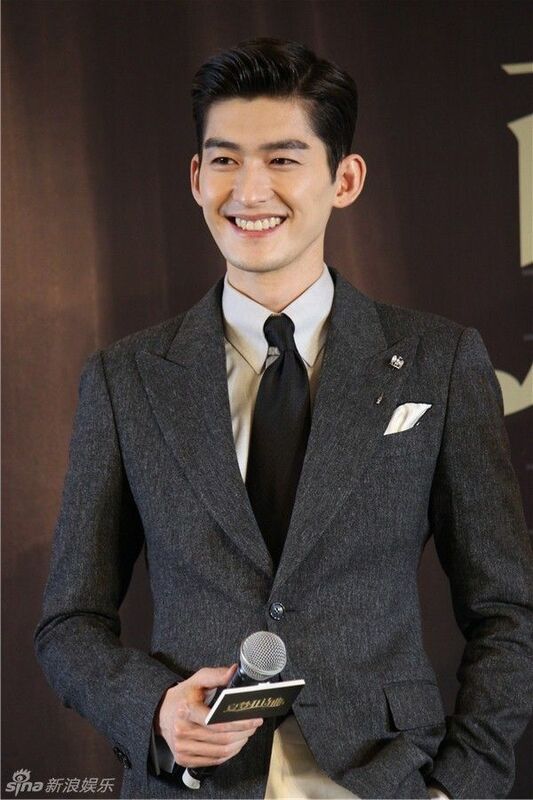 First time acting as a producer, Zhang Han will be reuniting with the writers in charge of Boss & Me. 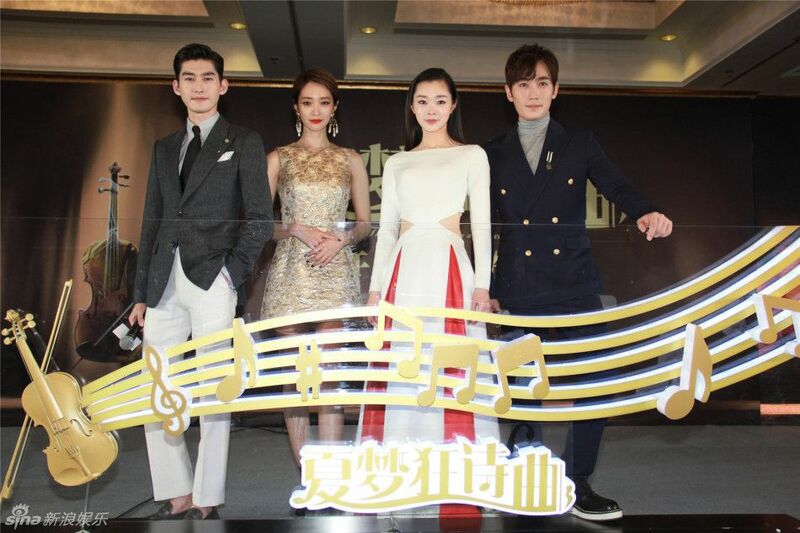 The Rhapsody Of A Summer Dream plans to have 50 episodes and filming began this week. 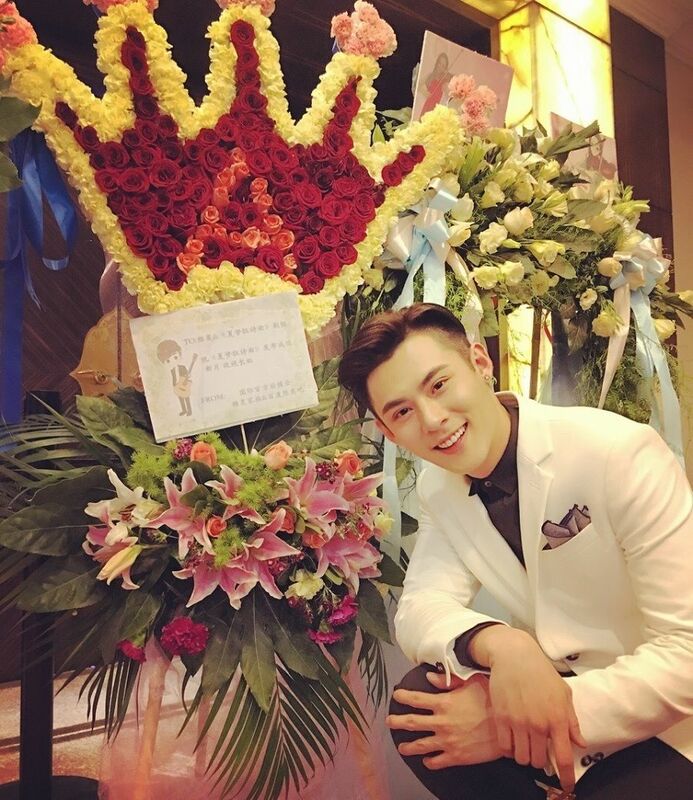 This entry was posted in Entertainment News and tagged Andy Chen, Cdrama, Go Jun Hee, Novel Adaptations, Peer Zhu Zi Xiao, Song Yi, The Rhapsody Of A Summer Dream, Zhang Han, Zhu Yi Long by Kappy. Bookmark the permalink. I’m so upset. STILL. OMG. 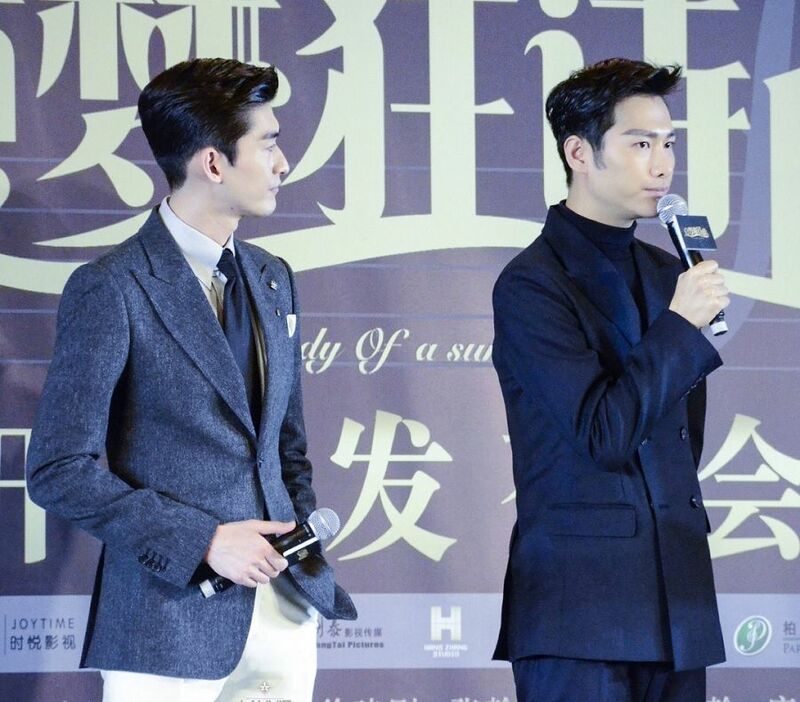 Zhang Han is the producer, he has a say in all this. But it looks like he’s in love with the idea of collaborating with Korean actresses, after his own drama with Goo Hye Sun. I wasn’t planning on watching this but then I feel bad for Song Yi and Yi Long…. I want to support them even if they are gonna play the cookie cutter characters again. Ugh. I hope it’s not cookie cutters. They have 50 episodes. O_O! So outrageous that a Korean actress has priority over a Chinese actress in her own home country. I say boycott this drama. Song Yi does need a better makeup job though. Yep! I’m trying to have a decent synopsis for Son of Hero before I post anything about it. Excited for all the boys in there! I’m quite upset with the casting! Really they rather promote a Korean actress over a Chinese actress?! What’s going on? I remember it was a huge deal just a few years ago when HK and Taiwan actors started entering C-dramas scene and how it was a problem as these actors were taking the locals actor’s opportunity? But look at now, there are quite a few dramas that are casting Korean actress instead of their own actress. China is seriously obsessed about Korean though, you don’t see the Korean casting any Chinese actor in their big production dramas. I don’t have anything against Korean actors as I do love and watch them too but come on China, support your own artist first! I’ll be more understanding if they cast MissA Suzy over Song Yi because she’s very popular but I don’t understand their current female choice. I don’t know what’s going on with this one-way business deal but Koreans do know how to wrap and present their entertainment to the public! I’m totally bummed about this. It’s not about a Korean starring as a Chinese in a Chinese drama, AGAIN. It’s more about a Korean actress replacing a solid and promising Chinese actress, causing the Chinese actress demoted to the second lead. LOL, as if the Korean actress is a shoe-in for high rating, or better performance. 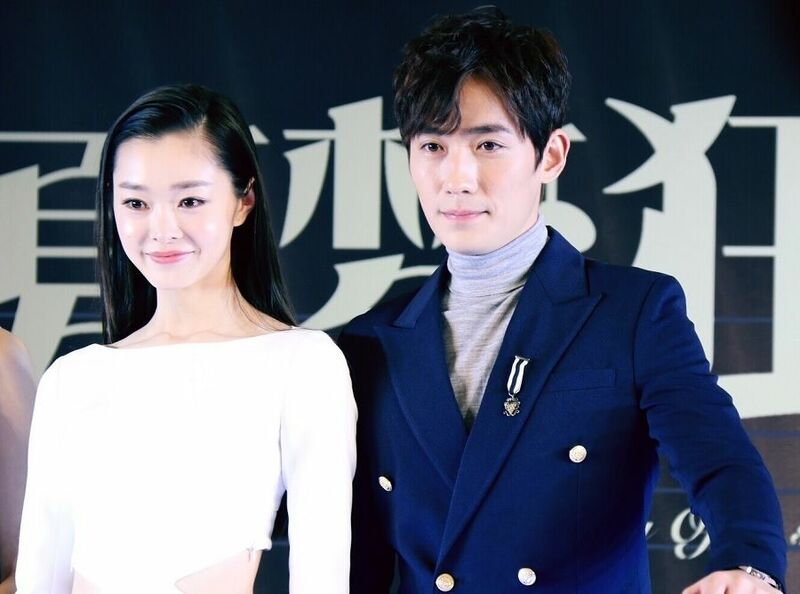 I won’t be watching this drama (never a big fan of Asian modern dramas with a very few exceptions), but I hope Song Yi and Zhu Yi Long will indeed steal the show! I don’t think it’s even for ratings at all. Not sure if you watch Kdramas, but this actress is only a supporting lead at best. She was in the highly popular She Was Pretty, playing a pretty unlikable character. Lol. I don’t even think she practices violins like Song Yi has been doing…. Sigh. She is very pretty to look at. Acting, so-so. What a weird decision. 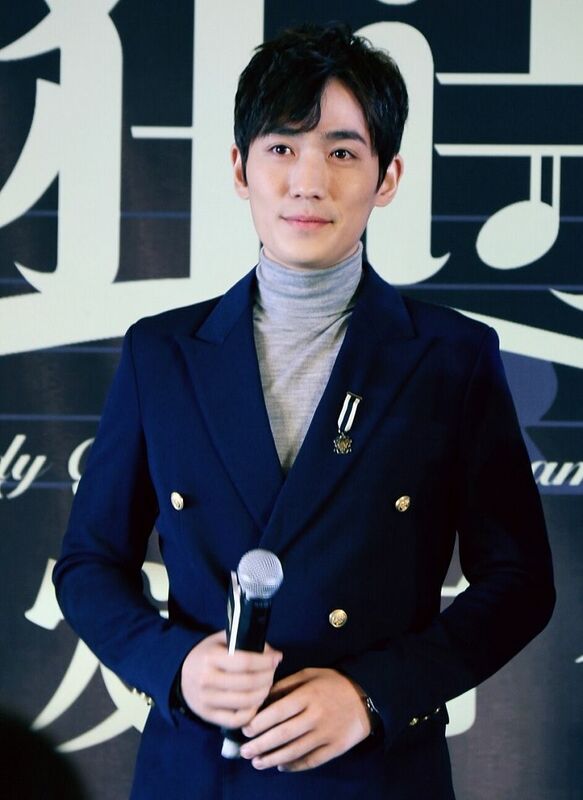 Zhang Han was presented with a popularity award in Korea last year. I suspect his selection of a Korean actress is some sort of payback and gratitude for his trophy. But with the high number of Korean performers who won awards in China, there is zero reciprocation. This is not a rare occurrence though a little unexpected. I mean, accepting a second-rate actress from Korea to be the lead isn’t what production companies should be doing given how far the entertainment industry in China has developed. I may be wrong, but GJH isn’t even a B list actress and is definitely not a Hallyu star. That being said, I do think she suits the role fine. I read the book and GJH’s character wasn’t adopted by ZH’s family but the family of the love interest of her rival (his sister). And this former “brother” of hers loved her too. I’m not too keen on ZH and I dislike cross-border collaborations in general so I guess this is a no-watch for me. Thanks for the clarification Kitai. Have you finished the novel? A good ending? I finished the novel and I wouldn’t say that it’s a good ending. OTP-wise yes, but there’s this plot twist which makes the whole ending a little sour. The novel is not that great though. She would fit the role if she is a Chinese/understand Chinese, at least. Needs an interpreter at every corner and no one understanding what the heck is going on/coming out of her mouth? Lol. Like Chickens talking with ducks all day on set. Mind-boggling. Plus, I think she looks too sweet and wide-eyed for a vengeful and deep person like our heroine. “sweet and wide-eyed” than most Korean actresses I guess. One thing that really bug me about putting Korean in Cdrama is that the mouth’s movement will be sooo out of sync with the sound they’re supposed to produce and it got me thinking how awkward the recording process must be. They’re acting like they’re having normal conversation while they might as well understand zilch of what the other is saying. Exactly! They speak in Korean! And then get dubbed. So all the chemistry and understanding, flow of dialogue, are all lost. I really don’t know HOW and WHY this trend is becoming popular. K-dramas in China, and the inclusion of k-stars in virtually every C-drama, with the exception of NIF . I wasn’t initially too thrilled that a Korean actress is being cast instead of Chinese (main concern being out of sync dubbing with different language being spoken) and while I still prefer a Chinese actress, Goo Joon Hee is lovely. She didn’t steal the show in She Was Pretty but I thought she was decent, and she’s charming enough on or off screen. She’s a pretty girl and I find it interesting personally to see how Korean actors/actresses act and carry chemistry onscreen with their Chinese co-stars despite obvious language barrier, or completely not knowing what each other is saying. From the perspective of a chinese period drama fan, i think china’s entertainment industry is struggling to remove itself from the stagnancy it had been in since like forever. By introducing k actors, the industry is trying to improve itself as well as gain more international fans. I grew up watching tvb dramas and over the years, the quality just got worse and worse. C dramas just didnt leave a good impression on me. I went through a drama drought nearly my entire school life. I ended up looking back into older dramas looking for the spark of engagement that they used to have. My favorite was ROCH 83 /tears. Ugh. Why was the quality degrading instead of improving? I swear, but some my local school plays had better actors than the leads I see onscreen. Like did they even get any acting training? I mean just browsing online for dramas and you barely see any subbed c dramas because they just didnt have the quality to appeal beyond native fans. But yea long story short, I dont think the expansion of k actors in c dramas is a bad thing. I think the c industry is noticing the quality in k dramas and are working to improve its own standards and flaws. (ie writing, directing, acting, etc.) Im really liking the recent dramas as of late, and looking forward to upcoming ones like legend of chusen and storm of prophecy. I don’t think it’s a bad thing either but when they start taking LEAD roles, then I’m not okay. Like what? What have you done to get those roles? I don’t mind if they do supporting roles. Just the same mindset in Korea of idols taking lead roles away from qualified candidates. Talking about stagnancy, I will be fair and say that ALL of dramaland (thai, twdrama, cdrama, kdrama) is quite in the same boat. There comes to a point where a story has been done before. They repeat the same tropes over and over, just in different backdrops. Korea is the best at marketing and actually supporting its people. Acting wise, it just depends what dramas you watch, there’s no such thing as Korea having better actors because that would be putting the whole nation on a pedestal and I have seen plenty of bad acting from there. Just like how you can’t find a good Cdrama, I can’t find a good Kdrama in recent years. It all comes down taste. Dubbing is important in China because they want a uniformed dialect. So even natives get dubbed. But as we all know, speaking, understanding, emoting, connecting is all part of acting. Hence it’s silly when you see Kactors on set with an interpreter translating everything the director or crew is saying, where to stand, what to do. So silly. I agree with you, it’s pretty weird for that to be a growing trend. (I mean, korea will never do the reverse) but rather than the actors own ability, its the management pushing the actors. Both china and and korea has this crazy puppeteer hand, the “higher ups” are the ones with all the say. The management/idol companies go and donate a small fee, and make a polite request for so and so to star. Or they even just produce an entire drama like to the beautiful you, starring all their own idols. I think its no different with the contracts being made with china. Money changes hands, actor is promoted, drama getting funds. (Though to be honest, i feel that idols should be given a chance as many of the more popular actors started out as idols. As for stagnancy, true, it seems asian dramas tend to fixate on specific tropes over and over. Maybe its a cultural thing, i dont see it to the same degree in western dramas. I mean im a roch fan but look at all those remakes. Each one is practically a cookie cutter with a few sparse changes here and there. As for k dramas, i swear they think doing it 1000x will work every time. Im with you, im not watching k dramas as of late. Im just skipping through period dramas always searching for that diamond in the rough. This is a general view as even kdrama ratings have been consistently low for a few years now. I think there are talented actors found in every country, the problem is the level of demand in that country. There are probably alot of talented c actors who dont pursue their passion bc those kind of jobs are too risky: economy doesnt promote it too well, i mean my mom is always scoffing at hk actors and how the job pays poorly. (which im like why?) Whereas in korea, dramaland is big there, and being an actor is recognized as something to be proud of. In the same way good teachers produce good students, k actors probably receive better acting training. (A la how hollywood is recognized in the u.s.) In china where there clearly arent as much opportunities, the management with c dramas dont share the same standards. I suppose the reason for my disappointment is that it hadnt always been that way, as hk dramas were once the kdrama of today. I saw the feb post and was super happy thinking Zhang Han was swapped. 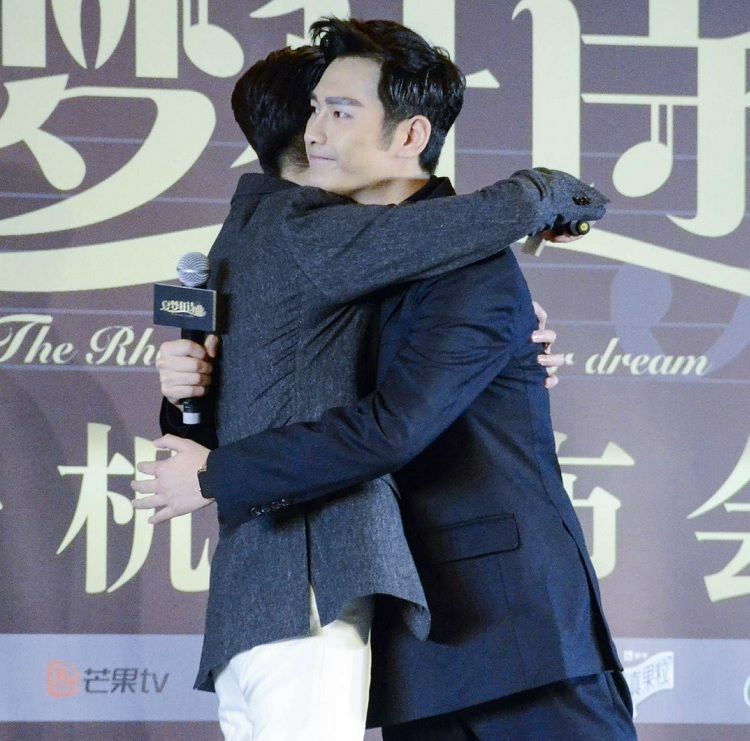 Unfortunately they swapped a more close match for Zhang Han who in no way look the role. The summary of the story seems to be slightly different too. The book actually, main girl is adopted by another family, who is also in the music industry and she fell inlove with her foster brother who ended up dating and engaged to the second female lead (main guy’s little sister). 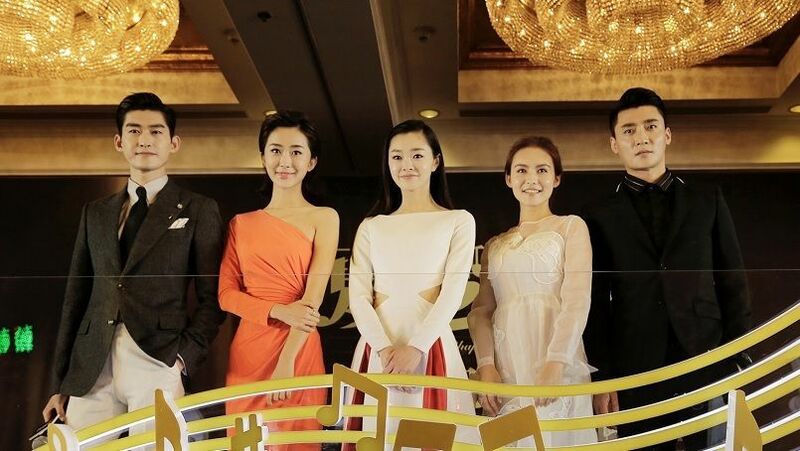 No comment on the girls, just Zhang Han doesnt look the part. Our main guy here is very tall and well built, from the back you should think he is a Western guy from his frame. His father should also be a european, I’m not sure yet, but the book is leading that direction.